She has said the advent of social media platforms and bots have added “booster rockets” to online comment and vitriol. 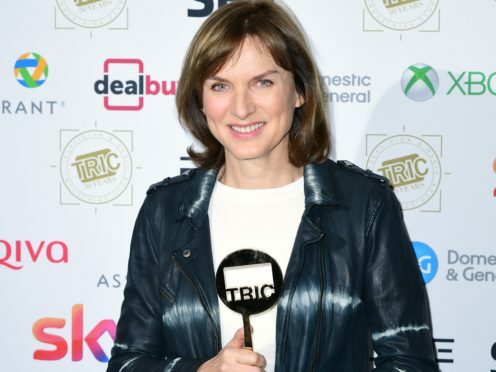 The newsreader and Antiques Roadshow presenter has recently taken the Question Time reins from David Dimbleby and she said the BBC is offering more roles to its female staff overall. Bruce has revealed she avoids social media, adding the immediate and febrile communication now possible online makes for an unwelcoming environment for women. The presenter was lauded for her control of the often passionate Question Time panellists and audience on her first appearance despite her saying she was too nervous to even lift a glass of water before filming. She has said her new position on the show was symptomatic of changes within the BBC, with women being given a wider range of roles that may once have been the preserve of men. Bruce spoke at the Television and Radio Industries Club (TRIC) Awards in London, where she was named best news presenter. She said: “There have been a lot of changes. A number of women are being put in jobs that they may not have been doing before. Bruce described her predecessor Dimbleby as “a hero of mine” and described his tenure of Question Time as “brilliant”. She has said the social media activity that surrounds the show could add a hostility politicians and presenters may not have faced in the past. Bruce said: “A lot of politicians got a lot of flak back then as well. I don’t know if it’s that much worse now. “But obviously the manner in which people can communicate with politicians and presenters, and about them, has completely changed. “People can just say what they like, off it goes, they press a key on their phone and it’s out there. Bruce added: “I don’t tweet. I’m on Twitter so I can monitor it. Because you’re a journalist you’ve got to, I need to know what Donald Trump is saying. But I don’t do social media myself at all. Bruce refused to offer an update on her interactions with Diane Abbott on Question Time, which came in for criticism. She has also declined to comment on the Equality And Human Rights Commission investigation that has been launched in the gender pay situation at the BBC. Bruce said she welcomes the interest shown in the show she hosts, although the prominence of her new role made her nervous. She said: “On the one hand it’s great that people care enough to express their opinions. “There’s nothing worse than making a programme nobody cares about. “People do know about Question Time so you get the good and the bad, and that comes with the territory. “I can’t deny I was incredibly nervous, really nervous. I went to pick up my glass of water and I noticed my hand was trembling, and I just put it down. Bruce said after each show she often relaxes with a glass of “tepid white wine”.